A very kind horse with a gentle soul. Don Maestro, who is affectionately called “The Don” by his friends and handlers, is a beautiful gelding who has been working with Cavalia for just over 4 years now. Although large and powerful, he is incredibly graceful when galloping on-stage. While working with riders Don Maestro awes spectators at every turn. This clever Percheron/Hanoverian cross is a gentle giant loved by all. He is a free spirit in nature who performs both liberty and cossack, not an easy feat for any horse and rider duo. At 10-years-old, roughly 35.5 in human years, Don Maestro is in his prime with a personality big enough to match his stature. These days you can catch him performing in the acts, “The Nomads” and “The Finale” in Cavalia’s latest production, Odysseo. In addition to starring in the act “The Nomads,” Don Maestro also shows off his Cossack and trick riding with the other horses in the Odysseo finale! To close the breathtaking performance, all the horses, riders, acrobats and aerialists in the production come out on-stage one last time, proving once again the powerful bond uniting the cast. In this final act, The Don can be seen galloping through the lake and joyfully creating a giant splash with the other horses. While they run through the water, their riders perform heart-stopping tricks one after another in a final blaze of glory before saying goodnight. Don Maestro is a very kind horse with a gentle soul. He is as comfortable performing on-stage as he is just kicking back and being pampered by the Cavalia crew. When enjoying some downtime in the stables, in between shows or in the off-season, Don Maestro loves playing soccer. Watching him trot around and play with his oversized soccer ball is really something to behold. And this 4-legged Pelé can dribble like the best of them! 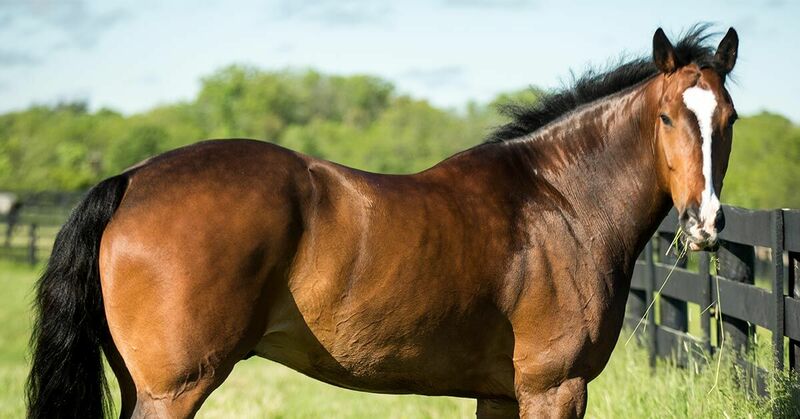 Loyal to a T and sweet as pie, this horse has a very strong bond with his rider that can be felt even from the crowd. Unlike some horses, The Don is the type of horse who prefers to be surrounded by those closest to him and keeps only those in the inner circle close at hand. His best friend and rider, Sacha and his groomer, Alexandra, are among his closest friends and they spend as much quality time together as possible, both on and off the stage. A performer at heart, you can find this natural-born star on Facebook promoting the Odysseo show with Sacha. Come see Don Maestro in action at the next Odysseo show and witness him in all his unbridled glory tearing it up on stage.